Make the Alpine mountains your playground. Defy and master the world’s most breath-taking and awe-inspiring mountains, tearing through the fresh powder of Europe’s sprawling Alps on skis and snowboards, or braving the crisp Alpine air in a paraglider or wing suit. 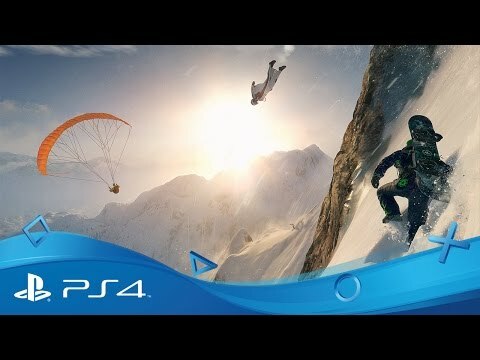 Create wild tricks by teaming up with friends to tackle the slopes in mixed groups, creating and capturing spine-tingling stunts or cruise the untouched climes with players you’ve never met in a seamless and consistent online world. Participate in specific challenges that’ll test your skills in each sporting discipline and compete with friends and the wider community for leader board places. Everything is made to share. From your most brutal wipe-outs to your most spectacular runs, choose the ideal camera angles, pace, and speed and dare the world to do better. Love the rush of sporting competition?